Everyone gets angry from time to time. I have found out that 30 minutes of brisk walking or jogging benefits your mental and physical health. It relieves stress and reduces fury. So whenever you feel angry and would like to scream at the offending person, take a deep breath and go for a run or a walk. Speaking from experiance, walking won’t only relieve you stress but also prevent you from saying something you would later regret. 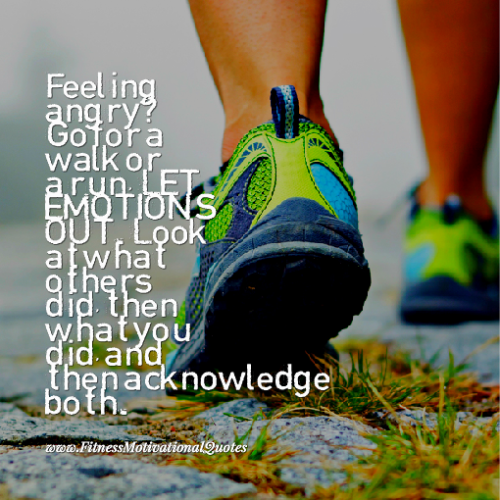 Putting some distance between you and the object of your wrath by taking a brisk walk will clear your mind, so you’ll be able to address the cause of your anger in a calm and reasonable way.